Hurst Peirce + Malcolm LLP have advised on bell towers and their suitability to carry full swing bell frames since the 1930's. We are often asked to advise on the effect of lowering the bell frame or changing the arrangement of bells. 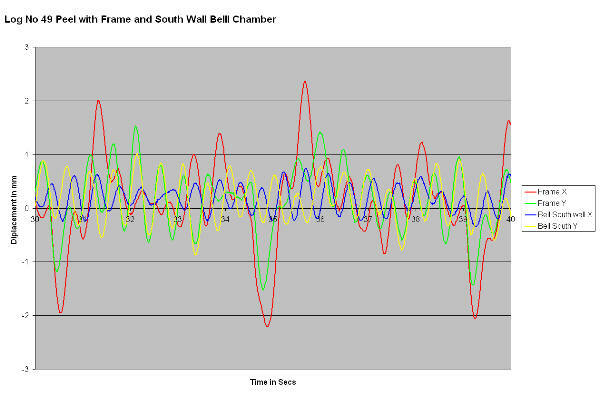 We have developed bespoke vibration monitoring equipment to measure the movement of bell frames and towers. This allows us to determine where improvements can be made in the quality of the ring. Typical plot from our in-house designed equipment for measuring the movement of church towers. 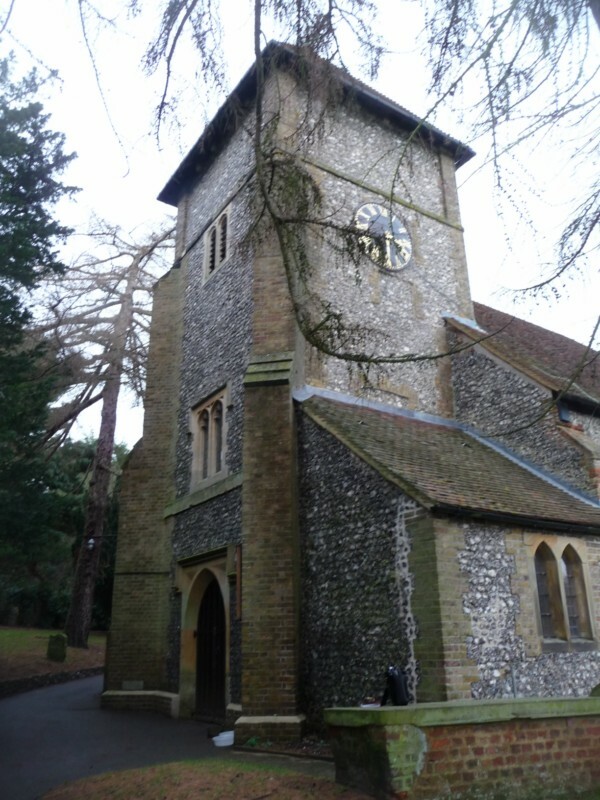 An 1820 brick built, stuccoed church where we have been assisting the local engineer in considering the stability of the tower which sank 200mm during an earthquake in 1896. Construction techniques were similar to those of the UK for the same date. 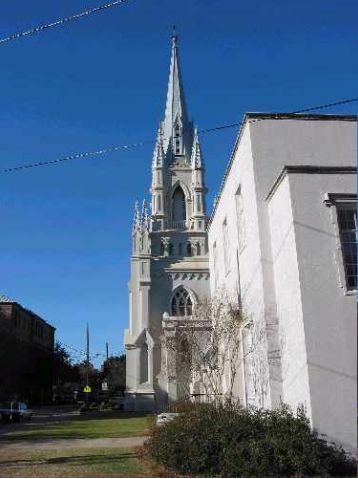 A bell tower where it was proposed to increase the number of bells from six to eight. Hurst Peirce + Malcolm LLP were asked to advise on whether this change would have an adverse effect on the Kentish Ragstone tower which did have a number of cracks. We recommended some simple strengthening to be installed at the same time as the modifications to the bell frame. A fourteenth century timber framed tower and spire. We were originally asked to advise on the effect of lowering the bells in the tower to make a better ring. Our inspection revealed that the tower had been severely weakened by earlier attacks of death watch beetle resulting in loss of up to 75 percent of the cross section of some members. 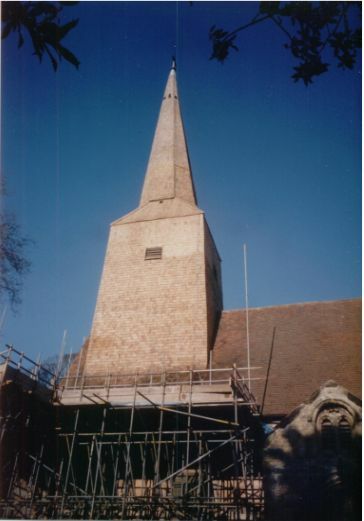 As a result a £170,000 contract was required to restore the tower and spire before the bells could be lowered. Vibration monitoring of the tower was employed to confirm the beneficial effect of strengthening the tower and lowering the bells. 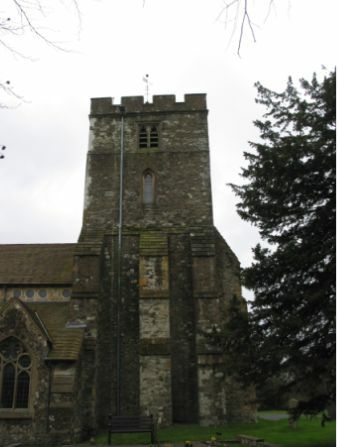 Inspection of tower to determine if it is suitable to carry a ring of six bells in this flint and ragstone tower.